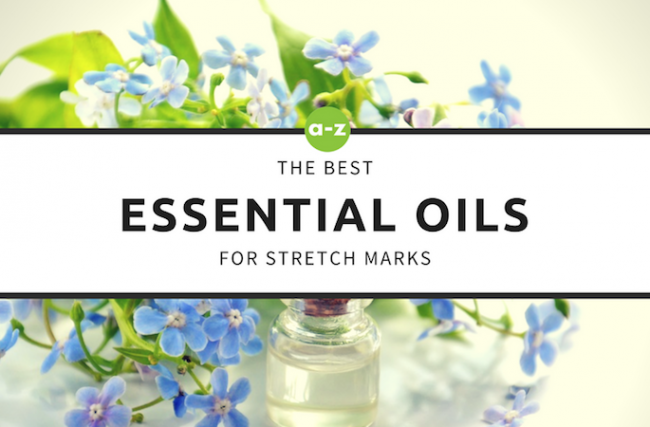 Essential Oils For Stretch Marks: Which Ones Are The Best? Stretch marks are something that effect more than 50% of women nowadays, and although not hazardous to one’s health, they can be detrimental to a person’s self-esteem and self-image. Although stretch marks are equal opportunity offenders, effecting both women and men, women are more often than not the ones that suffer the most. It’s nothing personal, however a female does pose more hospitable conditions for the arrival of these bumpy and unsightly lines. 1.1 What Are Stretch Marks? And What Are The Causes? 1.2 What Are The Causes of Stretch Marks? 1.3 What Are Essential Oils? What Are Stretch Marks? And What Are The Causes? Stretch marks are long and narrow streaks, stripes, or lines that develop on top of the skin as a type of scarring that is formed when the skin is not allowed to return to normal. A period of prolonged stretching of the skin. Before the appearance of stretch mark, the skin may appear to be thinning and light pink in color. The discolored area may similarly be itchy and feel irritated. These marks usually develop as wrinkly and raised areas of the skin, and can be identified as being red, purple, pink, reddish-/or dark brown, all depending on the color of a person’s skin. 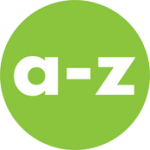 In addition, stretch marks can appear on a range of body parts, including: the stomach, hips, thighs, lower back, waist, breasts, and upper arms. Fading over time, these streaks will eventually turn a sliver-grey color as they gradually flatten, and they pose no serious long-term health risks. Stretch marks do become less apparent and less noticeable over time, this does however usually take a few years. 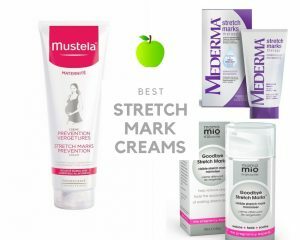 Some stretch mark creams claim to be able to speed up this process. 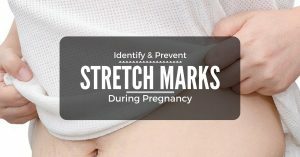 The appearance of stretch marks is not usually something that happens overnight, although sometimes it may feel like it. The cause of stretch marks is due to the stretching of the skin and its inability to return to its normal malleability. This often takes some time to accomplish, and is usually most apparent during periods characterized by extreme growth, for example, during pregnancy, or cases of extreme weight gain. Stretch marks can also be credited to cases of extreme weight loss, as the skin retracts and repairs itself to resume its normal form and function. Stretch marks can also be accredited to puberty. As a person grows into their adult body, gaining weight and some extra height puts untold stress on the skin as it adjusts to its new mold. Medical Conditions: such as Marfan Syndrome, causing a decline in the elasticity of the skin. Corticosteroid Medications: the prolonged use of corticosteroid creams can dramatically affect the collagen production of your skin, thus reducing the skin’s natural support and elasticity. Adrenal Gland Disorders: increase the amount of cortisone in the body, weakening the skin and promoting the appearance of stretch marks. Essential oils are the oil that is derived from plant materials, usually including the leaves, flowers, roots, stems, and bark of the plant. They are a highly-concentrated form of the plants natural oils, commonly extracted through various methods involving water and/or a solvent of some kind. The volatile essential oils are present with the characteristics of the fragrance and healing properties of the plant that it is derived form. It is the true essence of the plant, smell, healing properties, and individual characteristics included. Essential oils have a multitude of healing and beneficial qualities and characteristics that are believed to have helped people for the better part of the last 5,000 years for their cosmetic, medical, and hygiene properties. Many of today’s producers focus the majority of their attention and resources around the purity of the oil. Naturally the best oils are those that are 100% organic and natural, and have had a minimal amount of processing done to them. Due to their sensitivity to light, heat, and harsh chemical solvents, essential oils need to be handled gently and correctly so they can retain their full spectrum of benefits. Essential oils can be extracted through a number of processes that are determined by the sources of the oil, as well as how responsive the phytoconstituents (the naturally occurring chemical compounds in plants) are to the extraction. By using water distillation, steam distillation, or a combination of the two, oils can be extracted from a plant. Steaming is the most gentle of these methods, while water distillation requires the plant to be boiled and the oil decanted off. The most tedious and expensive way to extract oils, but ideal for fragile plant sources, this method uses flowers that are placed on top of an unscented fatty medium, allowing the oil to be transferred to the fatty medium. Alcohol is then used to separate the oils form the fatty medium through evaporation. A relatively new method for extraction, supercritical CO2 extraction applies high barometric pressure under specific conditions, and at a specific temperature, to release oils from the sources material. 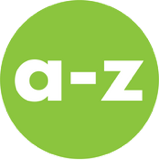 Ethanol is sometimes added and evaporated to leave nothing but the essential oil behind. There are many, many benefits that are held inside every precious drop of essential oil, from anxiety relief and improved sleep, to joint support and the removal of stretch marks. Essential oils have for centuries been prescribed for their vast array of medicinal and therapeutic ailments, as well as for their contribution to a person’s overall wellbeing. With recent trends, along with modern scientific studies, making a play for a more holistic approach to health and lifestyle choices, essential oils have been placed at the near-center of the dart board. The relaxing properties of certain essential oils, such as Lavender and Chamomile, allow the mind to relax better, therefore promoting a more restful and rejuvenating night’s sleep. Lavender and Chamomile essential oils are wonderful from treating insomnia. Massage therapy is enhanced with the welcome addition of the right essential oil. Helping to relax both the muscles and the mind, an essential oil is the perfect addition, and will be absorbed quickly with the use of a carrier oil, such as coconut oil. Frankincense and YlangYlang essential oils will send the brain calming signals, lifting your mood and lightening your mental load. The physical and mental relief that comes with reduced levels of stress are notable, as just a few drops rubbed onto the temples will bring relaxation almost immediately. The addition of an essential oil to the healing of unsightly stretch marks is going to make the world of difference. The added moisture and healing properties of Sage oil and Patchouli oil will speed up the skins recovery and healing, restoring your skin to its original sheen, if not better. Of all the essential oils that are on the market today, the following 4 have been highly rated on Amazon and other online retailers (and for good reason). 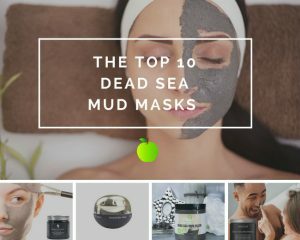 In this section we are going to break down what you can expect to get out of these incredible oils, as well as their unique characteristics, specifically targeting stretch marks and other skin ailments such as cellulite. Since 1921 Weleda have been producing some of the best essential oils in the world, and is today one of the world’s leading manufacturers of certified natural by NATRUE personal care. The Weleda Body Oil Essential Kit is made from only the highest-quality ingredients, free from synthetic preservatives, colorants, fragrances, and mineral oils. The 6 convenient 0.34 ounce on-the-go bottles are ideal for replenishing and hydrating your skin anytime, anywhere. Designed to reconnect the body with the mind, Weleda body oils will delight your skin while at the same time entice your body back to its natural synergistic rhythms. Great for reducing the appearance of wrinkles, aging, and stretch marks, these oils are essential to pampered looking skin. Even though the Plant Therapy Lavandin Essential Oil is not made from a true Lavender, it is still a number one choice for keeping skin in excellent condition. Helping to rid the skin of issues and similar complications, such as scarring, stretch marks, or redness and inflamed areas. Lavandin essential oil is a 100% Certified Pure Therapeutic Grade Essential Oil, and has not been mixed or diluted with fillers, additives, bases, or other carrier oils. This makes it ideal for supporting the respiratory system. By diluting the oil with hot water at a ratio of 1:3, draping a towel over your head, and breathing deeply, the respiratory system becomes relaxed, and breathing becomes easier. This oil can further be added to a cream or lotion that can be applied daily, for the reduced appearance of wrinkles and age spots, as well as the unique Lavandin aroma to keep you calm and relaxed all day. Message a certified aroma therapist through Amazon’s website with any questions or queries. Enjoy the benefits of anti-aging properties with the Living Pure Frankincense Essential Oil, and take back control of your skin. Containing no toxins, additives, or fillers, the power of purity stands the test of time with this Frankincense essential oil. Used for everything from pain relief, to enhancing one’s mood, to boosting the immune system, Frankincense essential oil is ideal for daily use. Due to the purity of the oil, it blends perfectly well with other oils and creams, to create your ideal daily application. Used on the skin to reduce the signs and effects of aging, stretch marks, and scars is only the tip of the healing iceberg. This essential oil can also be used to reduce the severity of poison ivy, reducing the rash and soothing that awful burning itch. Sourced in India, with no added fillers, pesticides, or carrier oils, the Frankincense Essential Oil by Essential Oil Labs is made using only 1 ingredient: Undiluted, steam distilled Boswellia Serrata. Great for a number of both mental and physical ailments, Frankincense essential oil is a must for any medicine cabinet. Ideal for treating scars, wounds, stretch marks, and eczema, as well as bad breathe and the prevention of cavities. The calming woody fragrance will help to ease away stresses in the mind and calm your anxiety, allowing for a more restful and revitalizing sleep. Frankincense essential oil can also be used to treat sore and stiff muscles, while the antiseptic properties allow it to protect and clean the skin at the same time. It is perfect for making your own oils and creams, butters and scrubs, and all the recipes are included. 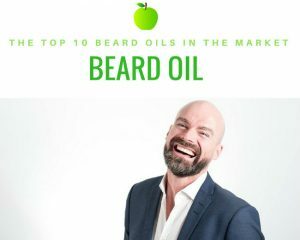 Essential oils certainly do bring with them a whole host of benefits and wellbeing necessities to bring stress and tension relief, as well as more physically noticeable benefits, such as the reduction of scars and stretch marks. The perfect addition to any massage session, either as an applied oil or simply for aromatherapy purposes, essential oils are going to add zest to your life, through better health and a better you.